What is the best way to plan a move to Gatineau? There are many things to get done when moving to Gatineau from other parts of Canada. Aside from the difficult task of physical preparations like packing and cleaning up, there is also the emotionally difficult task of saying good-bye to a life that has become familiar. But despite the emotional challenges, you can look forward to many new things in the horizon – a new job, new friends, and a new environment. We want to help you plan your move better so it is less stressful and definitely, more affordable. 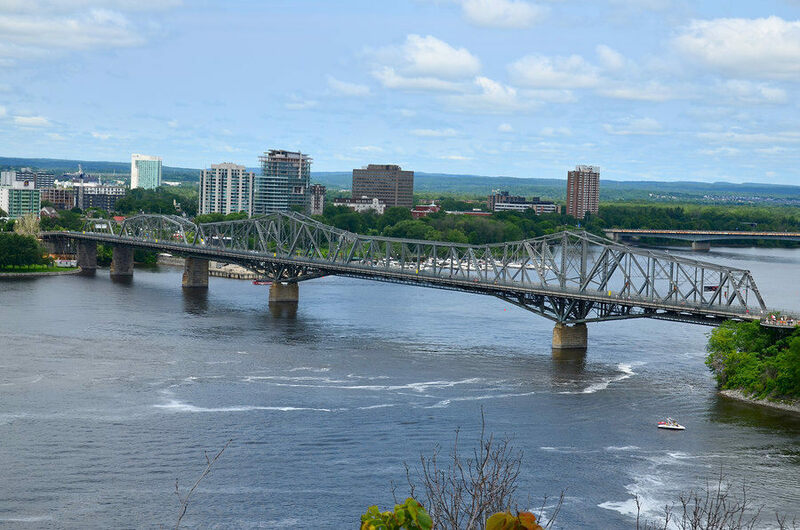 5MoversQuotes aims to provide you with everything you need to move to Gatineau without feeling stressed out or taken advantage of. We offer you free moving quotes from reputable moving companies serving the Gatineau-Ottawa area. By clicking the request button, you save on time and effort in connecting with multiple moving companies. You are also assured that you receive moving bids only from qualified and licensed movers in your city. At the same time, you can also find a lot of useful resources about moving to Gatineau and nearby areas so you are prepared even for the unexpected. We know you have a lot of things on your mind so keep reading as we try to answer your most important questions. Gatineau is situated in Quebec, north of the Ottawa River. This prime location, being so near the Capital, attracts many people to move here every year. It has around 275,000 residents and is the 3rd biggest city in Western Quebec. The majority of the city’s population is French with a much smaller Anglophone community. Despite this fact, Gatineau is considered to be bilingual. It is also a very open and tolerant city, with its population originating from more than 100 countries. Be prepared, however, as unlike Ottawa where there are 2 official languages- English and French- Gatineau is in Quebec therefore the official language is French. Statistics show that people from Ottawa move to Gatineau in huge numbers. In fact, many individuals working in Ottawa decide to take up residence in areas of Gatineau such as Aylmer where a home costs around $100,000 less than in Ottawa. Are you still wondering if it is worth it to move to Gatineau? You may be interested to learn that many families have moved to Gatineau to take advantage of lower housing costs, subsidized daycare, and generous tax breaks. The region has many assets that attract new settlers. From beautiful surroundings to old-world charm that bigger cities lack, Gatineau definitely beckons to young families and retirees who want higher quality of life at a much lower cost of living. You can also enjoy Gatineau Park and the Museum of Civilization for outdoor pleasure. Employment data shows that the employment rate in the Outaouais region continues to rise, exceeding the average job rate in Quebec province. 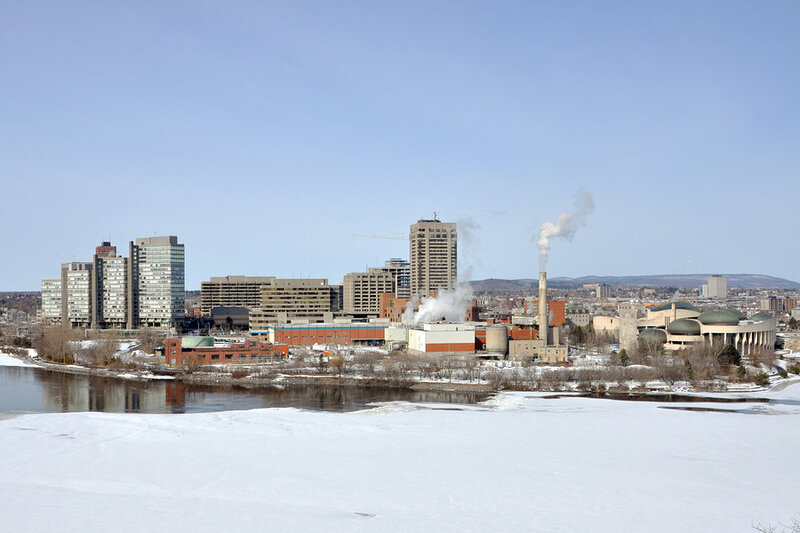 There are around 7000 active businesses in Gatineau with more than 1800 involved in the technology sector. The highest concentrations of tech companies operate in the Ottawa-Gatineau area. In fact, there are 15 industrial parks sitting on an accumulated area of 1,740 hectares in Gatineau. There is no doubt that plenty of job opportunities in all sectors including health, social services, information technology await you when you move to Gatineau. Critics say that Ottawa-Gatineau isn’t as fun as other Canadian cities and is full of bureaucrats. It doesn’t have beautiful mountain landscapes nor does it boast of wonderful seashores of the Great Lakes. But according to MoneySense magazine, Ottawa-Gatineau is the best place to live in Canada. The winters may be harsh but it is Canada’s pedestrian capital. People here cycle to work to save them time as traffic is really congested especially during rush hour. It has more than 220 km of bike paths. As the capital city, the biggest employer is the Public Service of Canada. Still, there are various technology companies based in this city. The average household income is estimated at more than $91,000 per year. As the majority of residents are employees of the federal government, they are not affected as badly by recession that sometimes hits many industry sectors. The region also has one of the lowest crime rates, earning it a reputation for being a safe place to live. In terms of access to healthcare, Ottawa Hospital is also one of the biggest employers in Ottawa-Gatineau. It is one of the best teaching hospitals in the country. 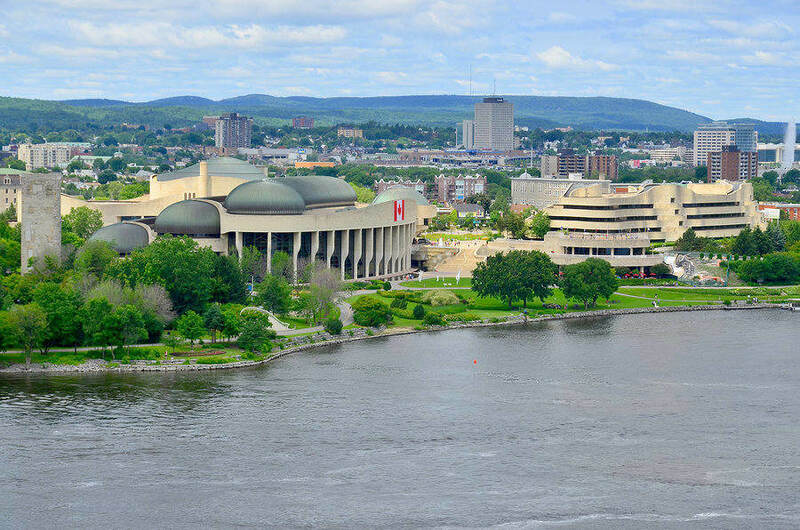 Moving to Gatineau offers an opportunity to learn French on a daily basis and be exposed to the unique culture of Quebec society. Residents also have cheaper electricity and car insurance. Individuals who are debating where to settle in the National Capital Region, Ottawa or Gatineau, have to consider many factors. Although they are geographically close, they belong to 2 different provinces with only the Ottawa River separating them. If you are a student planning to move to Gatineau, you must also consider your funding. Wonder no more why people move to Gatineau as it does make perfect sense to come here to live and work. Many people live in Gatineau and commute to Ottawa for work. Want to find out more? Get more details about working and living here and how to experience the best move to Gatineau. 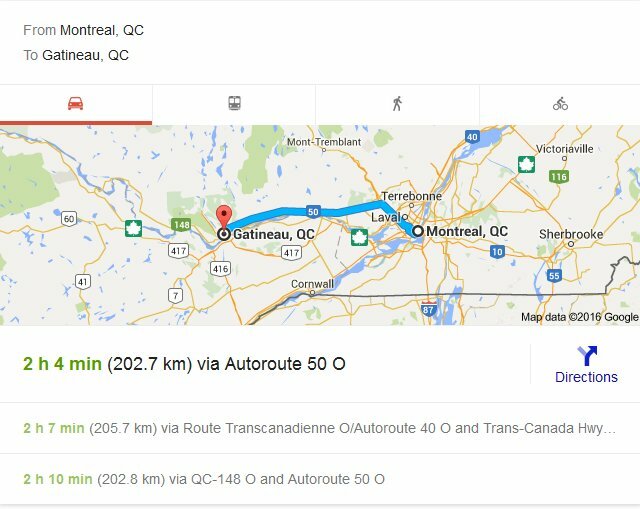 If moving to the City of Gatineau from Ottawa, the driving distance is only 7 km. Depending on your choice of mover, you could be charged an hourly rate or a fixed rate. From Montreal to Gatineau takes about two and ½ hours. Although there are other routes, the most direct route remains Highway 720 west to Highway 40 West and finally Highway 520 Hull / Ottawa. This is considered a long distance move and will be priced accordingly by most professional movers. Majority of moving companies charge fixed rates for long distance moving based on distance and weight of your cargo. Other factors could also have an impact on your total moving cost including date and time of move, and the size of the move. Not all movers have the same pricing criteria so it is important to choose your moving company carefully. How can you reduce your moving cost? Be flexible with your moving date. Avoid holidays and weekends. 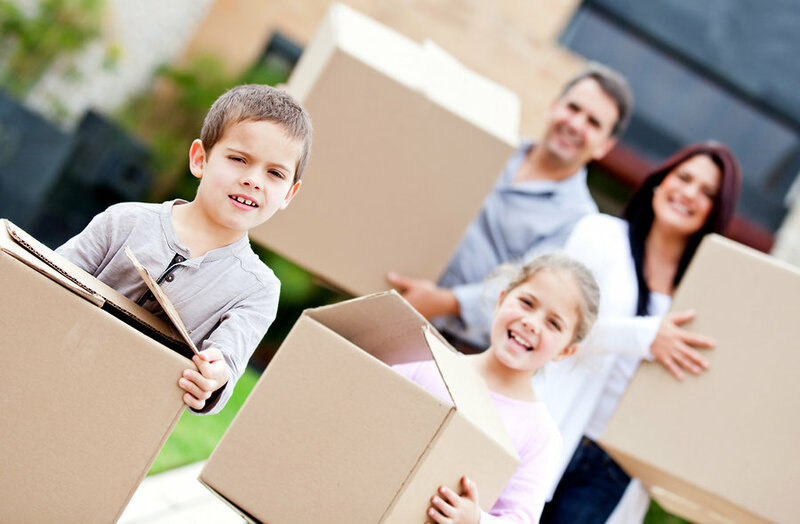 The summer months are also peak times for moving and are generally means higher moving rates. Dispose of unwanted or unneeded belongings as they only add to your moving cost. You can choose to donate some or dispose of them. Compare multiple moving quotes to compare moving rates and services and select the most advantageous price. Always request the moving company to visit your home and assess your belongings to provide you with a guaranteed and accurate quote. In this way, you can avoid surprise and hidden costs that could be added to your moving bill. When choosing your moving company, make sure it is licensed to operate in Gatineau and accredited with the Better Business Bureau or a professional moving association like the Canadian Association of Movers. We are not a moving company or a moving broker. We simply want to help people find the best moving company to relocate to Canada, the United States, or other parts of the world at affordable rates with the least stress and hassle. When you request for free moving quotes, our partner moving companies closest to you will provide the lowest quotes at no obligation. This means you can safely and conveniently compare moving rates and services so you can get the best moving deal. You get more freedom and more choices to make the best moving decision. Get started on choosing the right moving company to handle your move today. Choose 5moversquotes for the lowest moving bids for high quality moving services. We wish you the best moving experience!